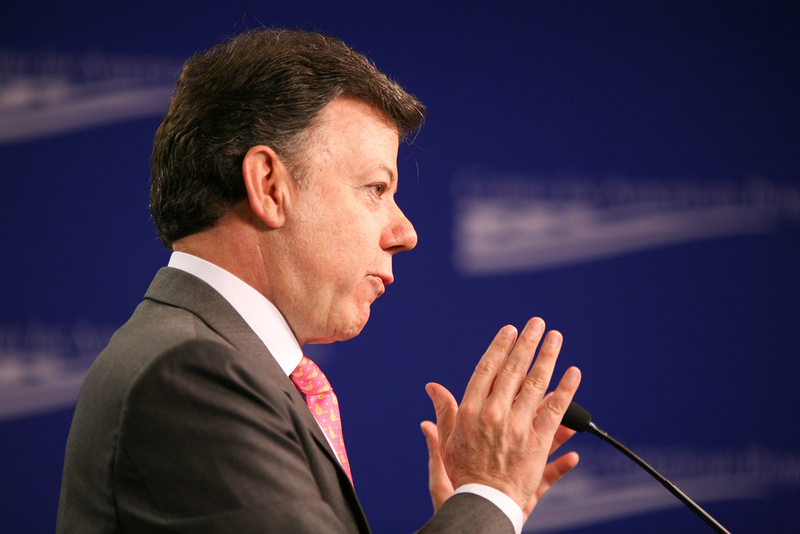 With the announcement that an amended version of the peace accord between the government of President Juan Manuel Santos and the Revolutionary Armed Forces of Colombia (FARC) will soon be signed, Colombia enters a new stage in her five-year quest for ending the Western Hemisphere’s longest-standing armed conflict. Following the razor-thin defeat of the original deal in a plebiscite held on 2 October, which left so many people in Colombia and around the world dumbfounded, the two parties to the talks have done well. Not losing their nerve they reconvened in Havana, Cuba, the seat of the negotiations, to brush through the agreement and see which of the demands that the anti-peace camp led by former President Álvaro Uribe had made could be accommodated. Working around the clock they agreed on making more explicit some of the provisions on transitional justice, including with regards to how members of the security forces who had gone afoul would be dealt with, as well as several other issues. In essence, however, the government and FARC stuck to the original agreement. And they are hugely to be commended for it. Now the anti-peace camp again threatens to walk out and seek the recall of the standing congress. This may not be all that surprising for President Santos announced that this time it will be the lawmakers who decide on whether the peace accord is fit for purpose or not. Regardless of the twists of fate the peace process has witnessed in the past few weeks, it is unlikely a majority of them will object. What remains of the greatest concern, however, is the obstinate opposition on the part of Uribe and his (many) followers to accept a Colombia in peace. Good thing that Santos and his negotiators now have the moral backing of the Nobel Peace Prize. And they are receiving cover from unusual allies, including Human Rights Watch and others in the international community, such as Germany, who are fortunately beginning to speak up more loudly. Whatever may be Uribe’s political motives and strategy (we can only speculate), in both the short and long term it simply won’t hold that someone opposes what by all international standards is a sterling peace accord. And, what is more, is a dead-serious plan to strengthen development, democracy and legality in Colombia – at long last. It is effectively more than difficult to imagine that anyone who has read the original and amended agreement think that it is a roadmap for radical or, in the parlance of the anti-peace camp, Castro-Chávez-inspired political and social change in Colombia. Nothing further from reality! What the Santos administration and FARC have agreed upon in Havana, not sparing themselves the inevitable episode of fretting, howling and teeth-showing, is nothing else but a sensible – perhaps not entirely pragmatic (that still needs to be sorted, but at a later stage) – way forward to turn Colombia into a country that stands more of a chance to make good use of its huge human, social and economic potential. To paraphrase James Carville, Bill Clinton’s erstwhile strategist, it’s development, democracy and legality, stupid! That is what the peace agreement is all about. Ending the conflict on the agreed terms means throwing open a window of opportunity for millions of Colombians who subsist on less of what is internationally regarded as sufficient for a dignified life, who suffer the excruciating hardships of violence and exclusion, who do not have a state to turn to for protection and assistance in life-threatening circumstances, who see their fundamental rights and liberties violated or restricted every single day – both by the state and the many, oh so many, other (criminal) powers that reign supreme and in accordance with their own law across Colombia’s rural hinterlands, borderlands and urban slums. Positive change. This is what this political fight over peace in Colombia is about. Ironically perhaps the government and FARC are on the same page. They want peace for development, democracy and legality. Let’s give them the benefit of the doubt! Let’s support that sort of peace in Colombia! It would really mean a change for the better in a world not blessed – as we know and have recently learned again the hard way – with great opportunities.